Melissa Slaid, owner of the Fitzgerald house had her home decorated spectacularly for the season. Refreshments were provided by B Rose Catering and sponsored by Mrs. Jackie Lewis and the Minute Magazine. 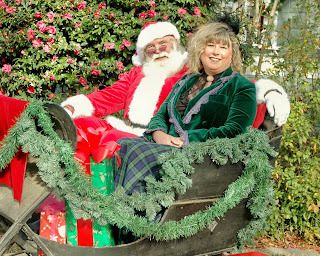 Santa was on hand with Kerry Easley of Main Street Photography capturing holiday memories for many as they climbed in the one horse open sleigh with Santa. 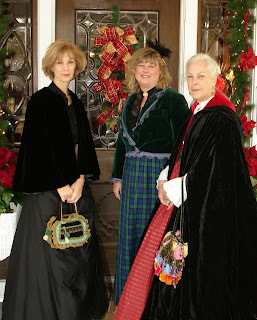 The Minden Melodies were a delight for the day with a rousing round of Christmas favorites. This group was followed up by Tiffany Byram Harold Palmer; a grandfather & granddaughter duo on guitar. They finished off the day with all time holiday favorites including a little Elvis. To add to the day the Minden HRD association sponsored a lighting contest with cash prizes and trips to Jefferson at the McKay House B & B. The judging was done by Mona Hayden and friends from Louisiana Road Trips Magazine. The winners were the East and West home owned by Bill and Billie Jean Green taking first. The Greens added yard ornamentation of an antique car was a shoe in for first. Second place was taken by Jay and Shelly Christy’s Broadway home. Third place prize was awarded to Melanie and Scott McCullough for their East & West home.